1. There is an assumption that “they” were just like us. This one presupposes that they had the same values, worldview, and tastes as “us” today so that had the availability of resources been different, they would have chosen to work exactly as we do today. 2. There is an assumption that “they” were so radically different from us. 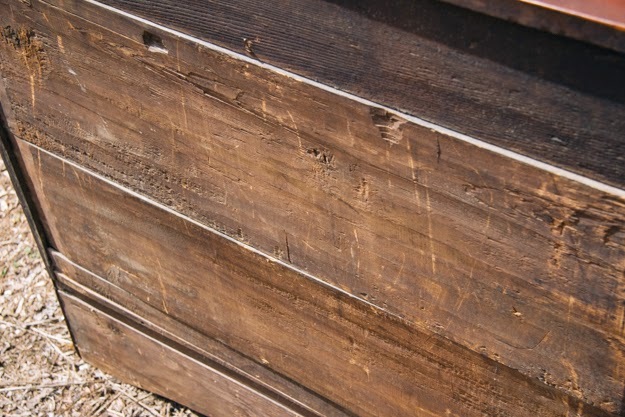 This one says that those people of the past… they were stronger, smarter, tougher, skilled, traditionalistic, and more independent than us today so no way would they have compromised their craftsmanship with uninspired things like table saws and plywood. I hope you can see the flaw in both of these assumptions. One of the most common mistakes of hobbyist historians is emphasis on one or the other of these two statements. In reality, the “us” and “them” is not as easily distinguishable as these theories make it out to be. Truthfully, there were as many different personalities and artistic motivations 200 years ago as there are today. 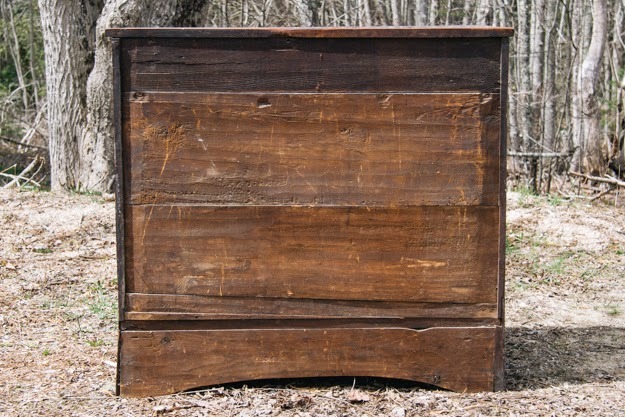 Some people built and decorated furniture for creative expression (fewer than today, though) and others built furniture out of vocational necessity. They didn’t see themselves as making “art”. They simply had to pay their bills. There is the same mix among furniture makers today. For some, it just a pleasurable hobby they play around with occasionally while others are making a business out of it. What I’m saying is there is no “us” and “them”. So what about plywood? Would “they” have used it? I think many would have. 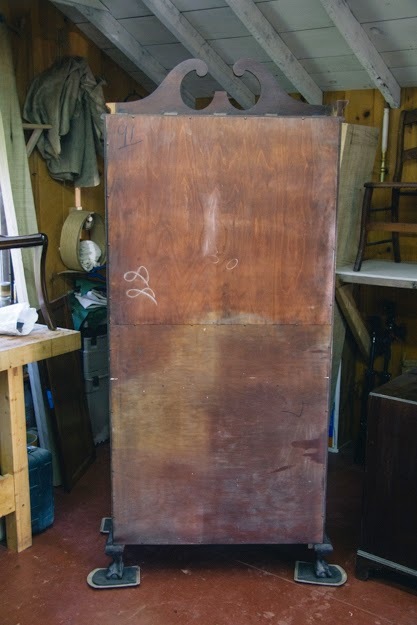 From an economic standpoint, it’s easier to drop sheet goods to fill a back of a chest of drawers than individual boards prepped and beveled to slide in a groove or nailed into a rabbet. Additionally, a solid plywood back provides a rigidity to the structure that I think many preindustrial makers would have found appealing. The majority of makers of furniture “back then” were very economy minded. The bottoms, backs, and insides were simply not aesthetically important to them (just like most makers today). That’s why many of them left those surfaces so atrociously (and consequently beautifully) rough. Finally, I think it’s significant that what we see historically is that the industrialized model of furniture production embraced plywood. Why? Because of economy. 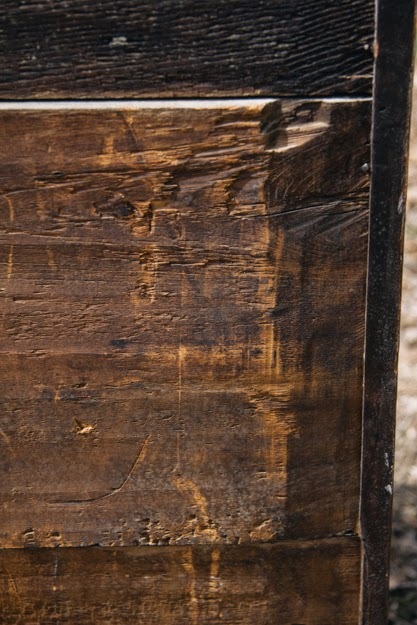 So why won’t I use plywood in my furniture? It’s simply because of my values. I personally make furniture to reproduce objects of a certain historical period. My making is for research, not economy. Sure it’s easier, cheaper, and potentially more stabilizing to drop plywood into the back of a chest of drawers. Who cares? None of those things are of first importance to me. As quixotic as it sounds, authenticity is all I’m after. I think another reason the waters often get muddied is that there is a general assumption that using machines/plywood/polyurethane/whatever is much faster and more efficient. However, as you and I and many others who've made authentic period pieces by hand in the name of research and authenticity have found out, modern methods and materials are not always faster or more efficient. In some cases yes but in others the traditional methods and materials can be faster for the aesthetic of the period. Absolutely, Bob. I think on the whole, bespoke period furniture can be produced faster by "hand" than using jigged "power" tools. I hope to be able to convince more people of that as time progresses. 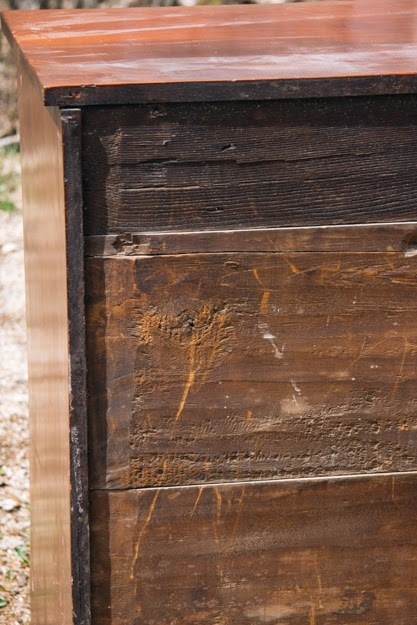 In this application however (back boards on a chest of drawers) plywood is faster, easier, and more rigid. None of that interests me, however. Two thoughts, first there is also, for the lack of a better term, the Zen of working by hand where the work is more important than the object one makes. Second it is faster to make 5 or 6 feet of molding by hand but if I need 200 feet find me a shaper. I really enjoyed your post. I'm often annoyed at all the short sighted assumptions I see all too often. In the end people built furniture the way the did because that's what they had available, needed or were taught. Progress is not always progress, but it is frankly arrogant to assume that they are like us or not at all like us. We are all different individuals shaped by our values and educations.